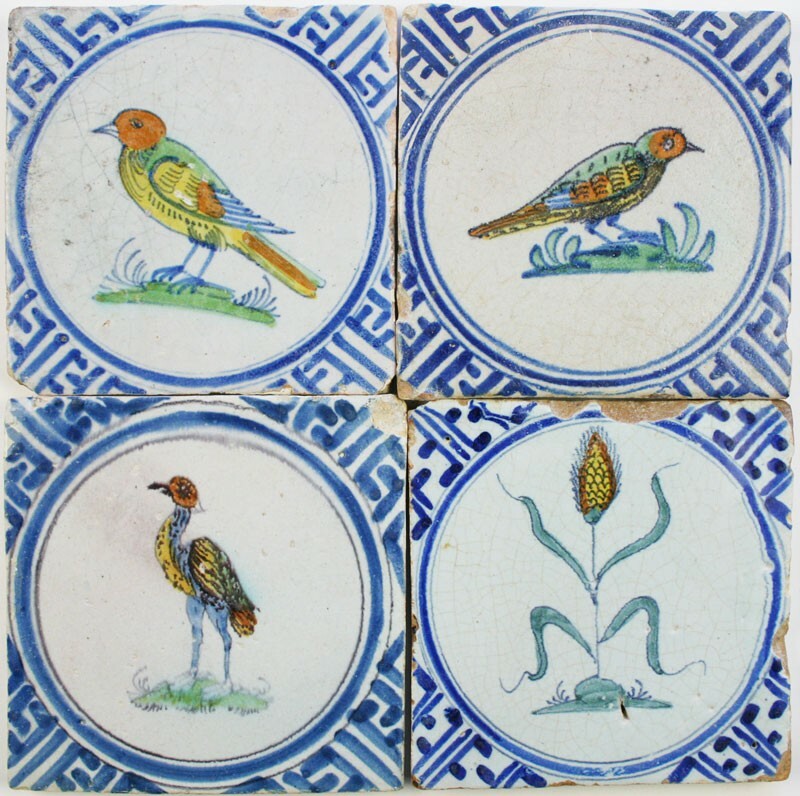 These are beautiful and rare antique Dutch wall tiles dating from the first half of the 17th century, all made in the city of Harlingen. 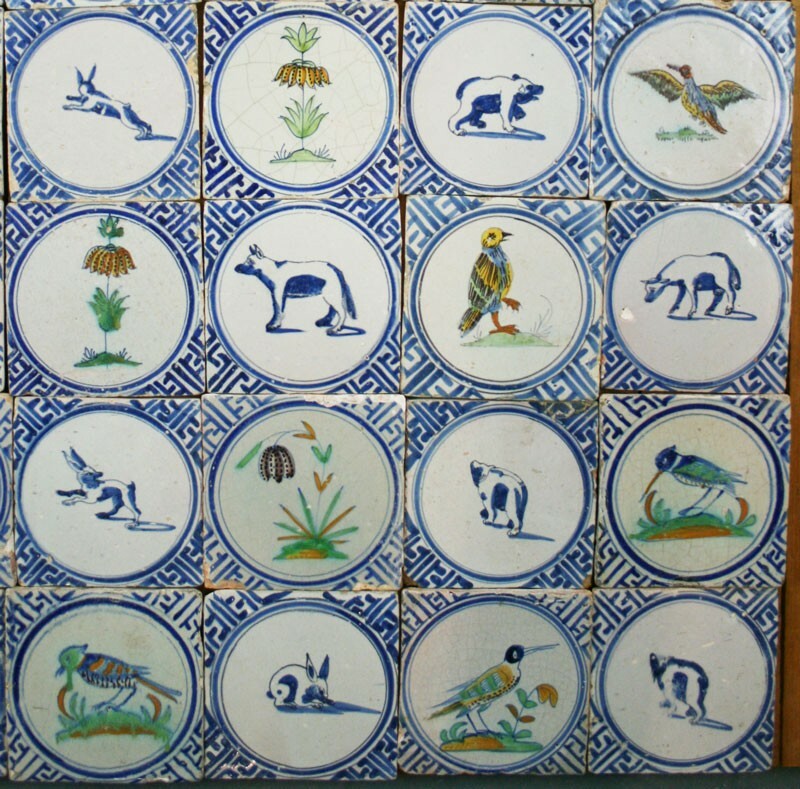 The tiles are decorated with a circle and Wanli corner patterns in blue. 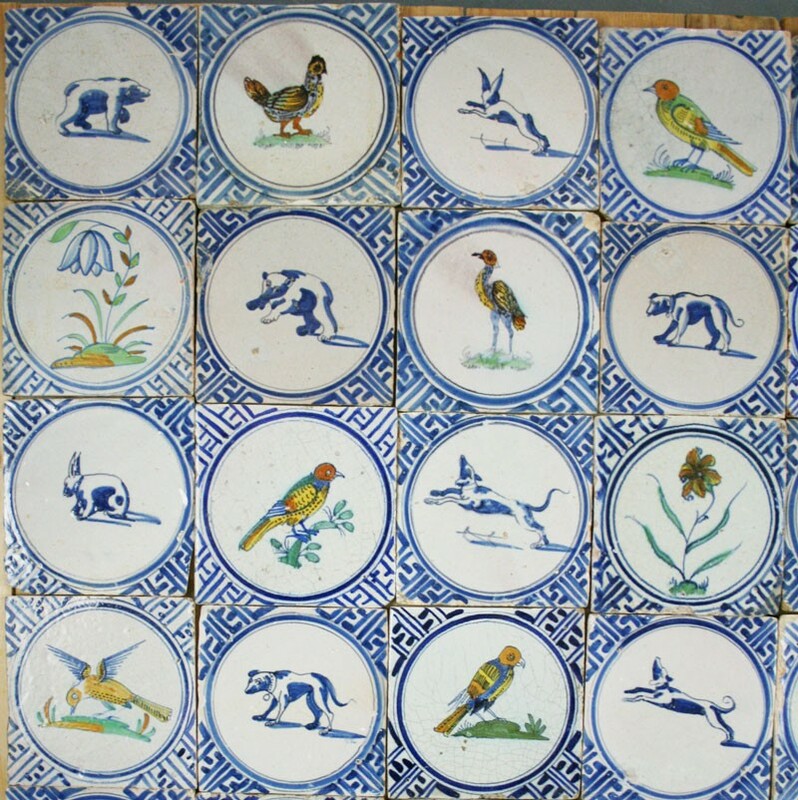 Among the birds are pigeons, a woodpecker, an ostrich, a rooster or chicken, a duck and several other type of birds. 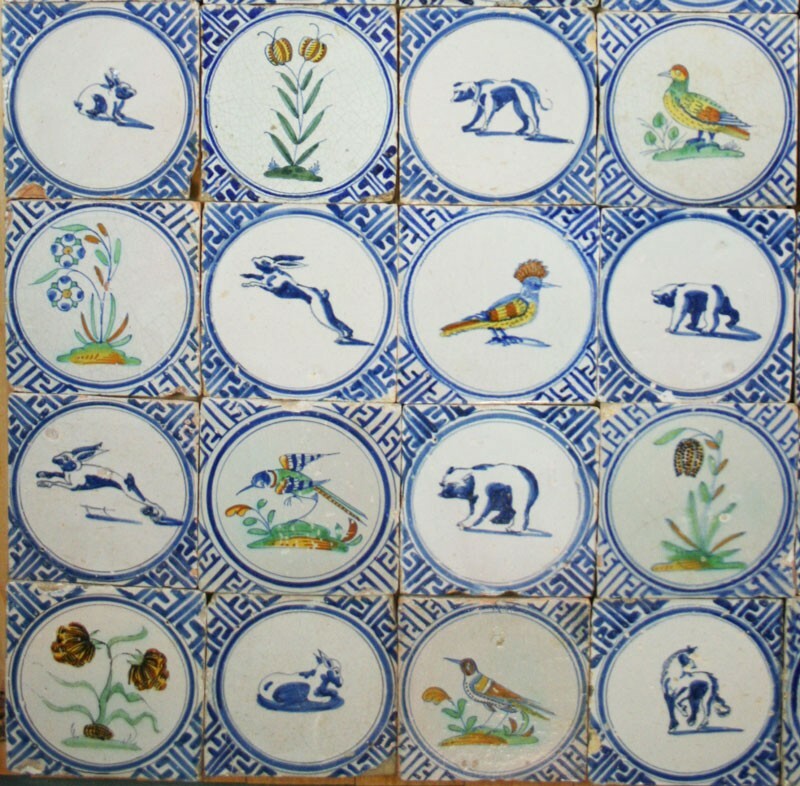 Among the other depicted animals are bears, hares, dogs, a horse, a rabbit and more. 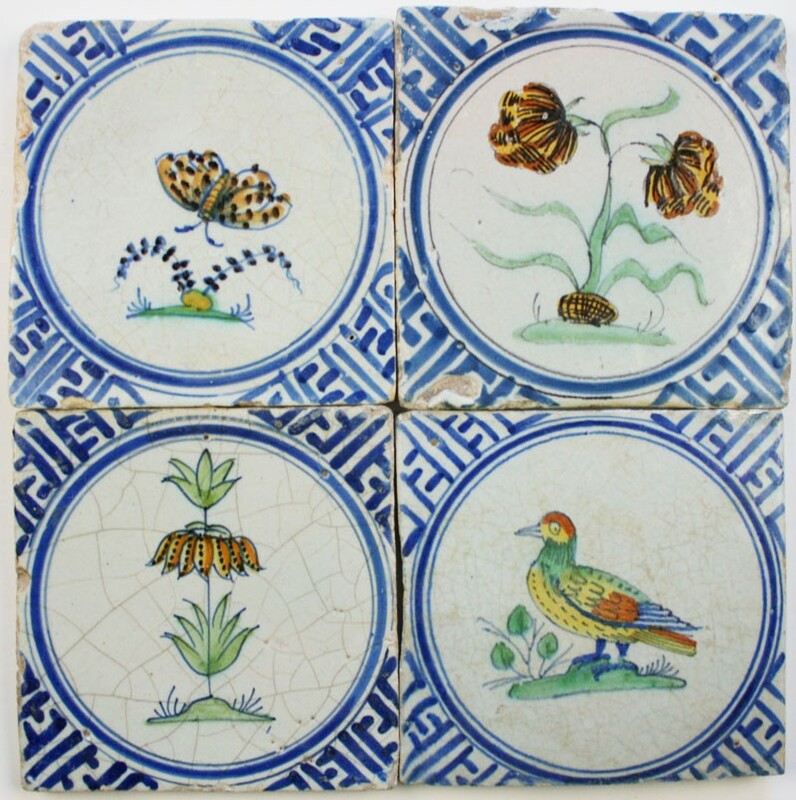 The field includes several wonderful flowers and insects (such as a butterfly).These tiles are available for any kind of tiling project. 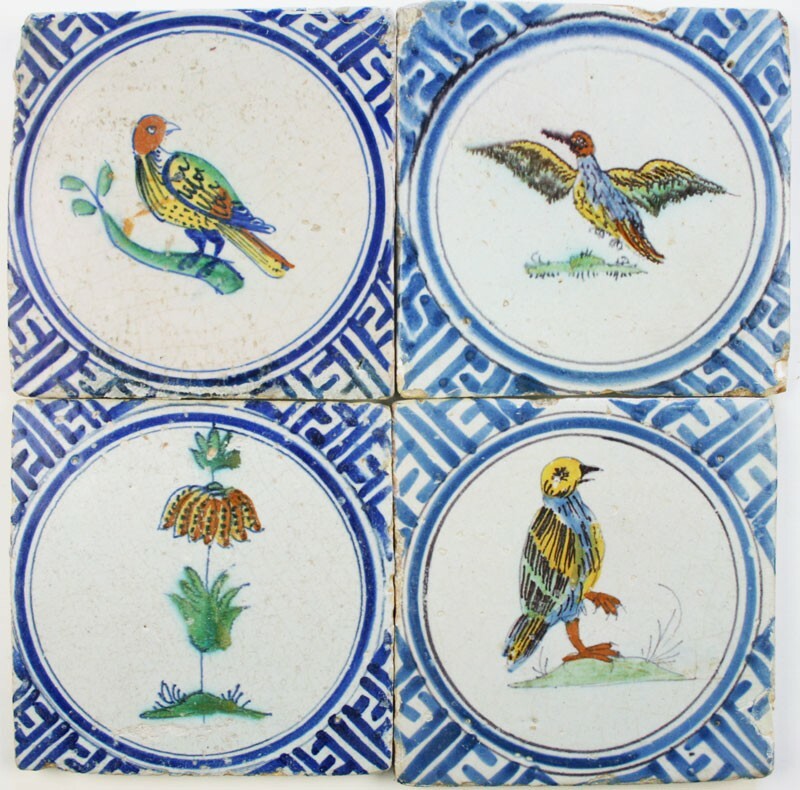 These tiles are a set, meaning that they have been together the past centuries, are mainly of one firing and were therefore made by the same factory and possibly even painted by the same painter. It makes them very consistent in size, shades and overall style. We prefer to sell this set as a whole, although significant numbers can be discussed. Visit our 'Projects' and 'Scrapbook' for more inspiration! 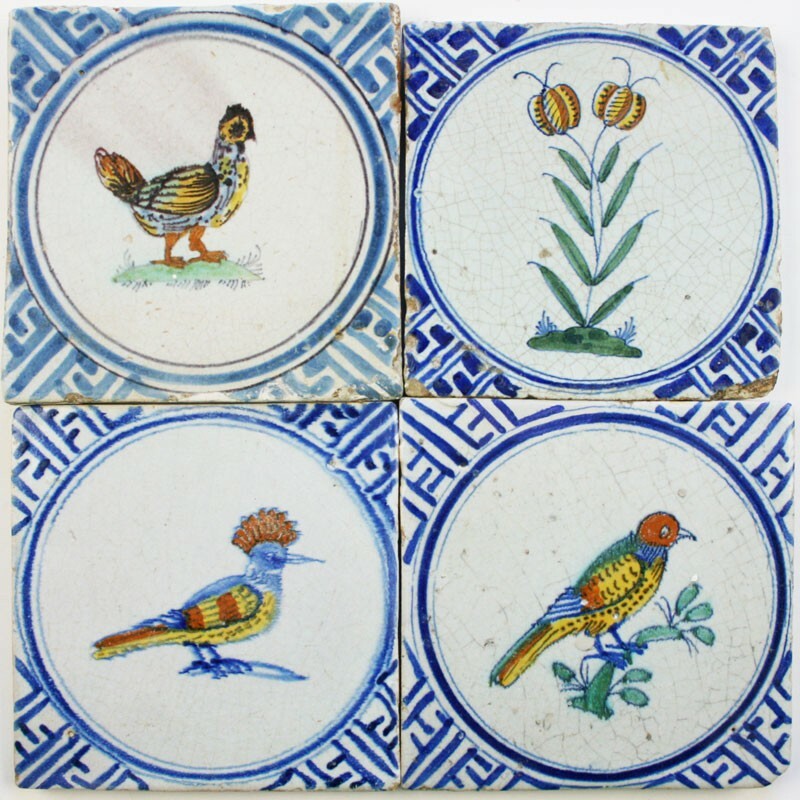 If you have questions about this product, please contact us via mail on info@antiquetileshop.com or use our contact form here. Collectibles and Books can directly be ordered by clicking the 'add to cart' button next to each product. Shipping collectibles is completely free to any destination. 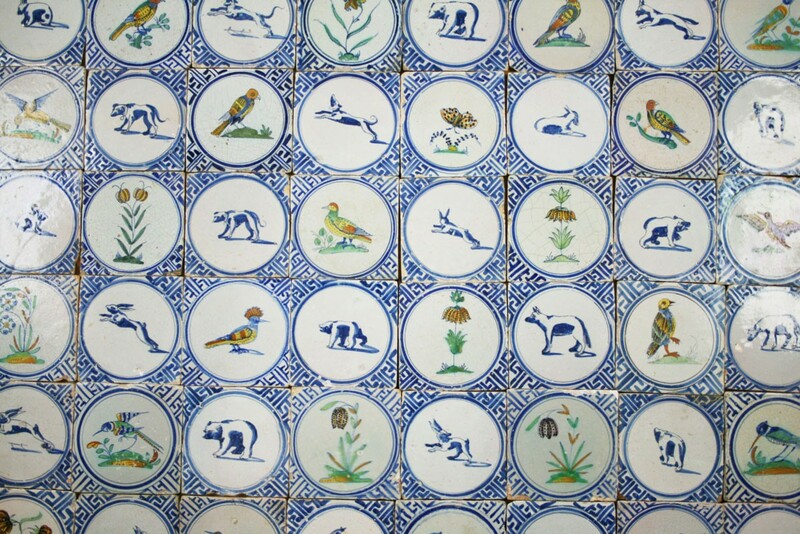 Antique Tile Shop accepts payment by creditcard (Maestro, VISA, MasterCard) PayPal, iDeal and bank transfer. Other creditcards such as American Express can also be used when selecting PayPal in the checkout menu (no account required). The tile(s) and/or books will be shipped within 48 hours after payment confirmation. 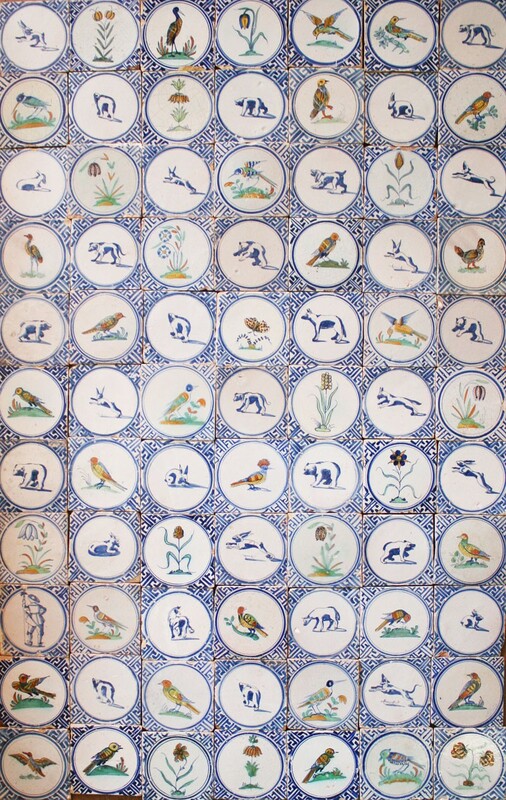 Tile murals and Wall tiles can be ordered by requesting a quote. Depending on the volume and shipping location, we will send you a customized offer completely tuned to your preferences. We tend to get back to you within 48 hours after your quote request. For any questions, please contact us by e-mail or via our contact page. Make sure to read the full disclaimer by clicking here. 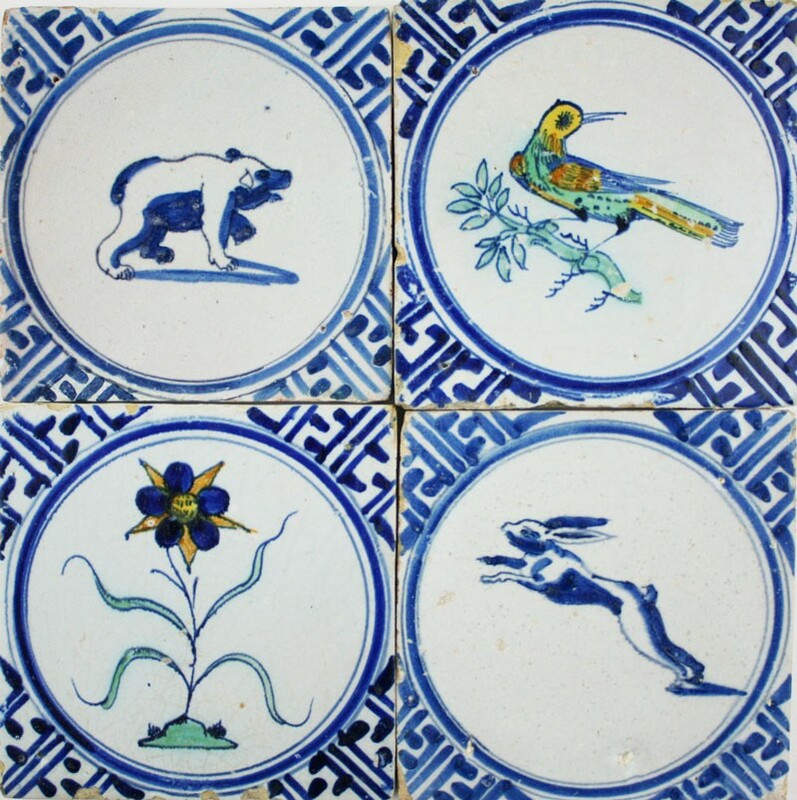 Antique tiles are handmade, so variations in color, size and texture are to be expected. 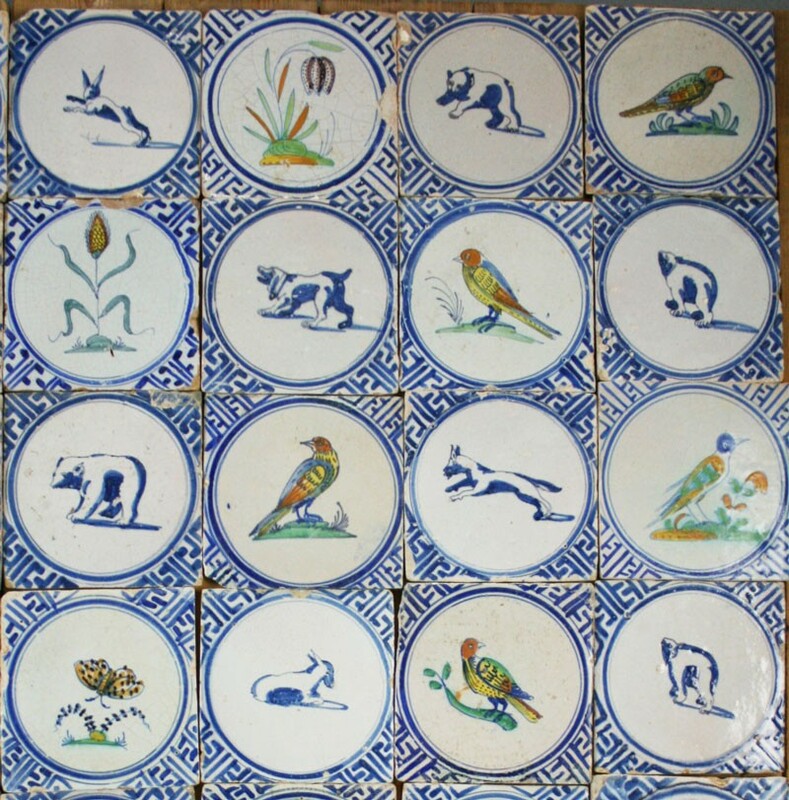 Also, due to the age of the items, small chips and signs of use are common and considered to be part of antique tiles and the overall experience. 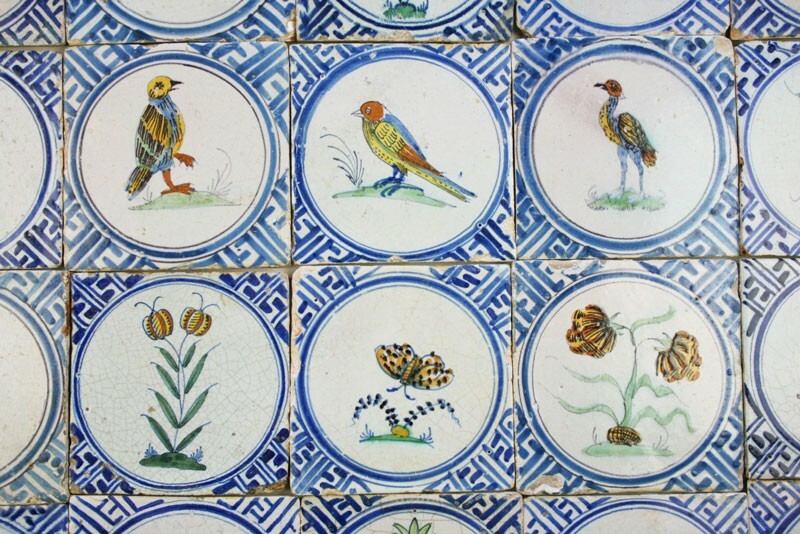 Our tiles have been rinsed and cleaned intensely, making them suitable to be reused. However, we can never guarantee that all traces of sooth, salt or other forms of pollution have completely been extracted from the tiles. We expect our customers to be aware of this matter. Due to the relative inconsistencies of various display monitors, the colors you see on your screen may not be a totally accurate reproduction of the actual product. We strive to make our colors as accurate as possible, but screen images are intended as a guide only and should not be regarded as absolutely correct. All information on this website is meant for personal usage. No right or claims can be derived from the information on this website. All modifications, changes and typing errors reserved. We do our utmost to make the information on this website as accurate and complete as possible. 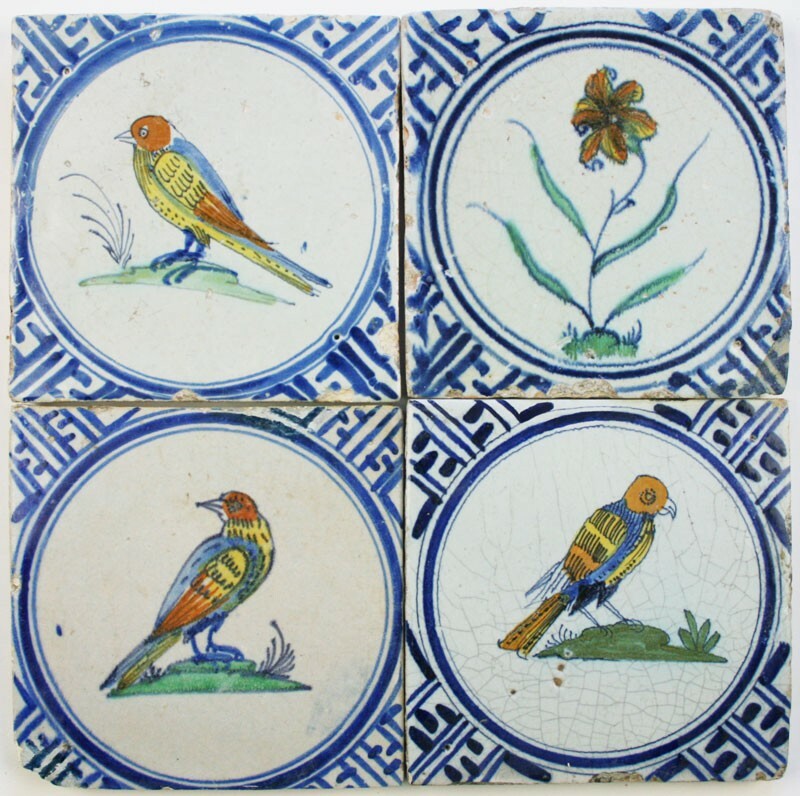 Antique Tile Shop does not accept any responsibility for damage in whatever form for using this website or for the incompleteness or inaccuracy of the information on this website. If you would like to receive more photos or information, please let us know when making your quote request or contact us directly by e-mail. Read more about our services here. 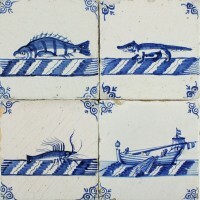 We are a dealer of antique Dutch Delft wall tiles. A passion that started 50 years ago and eventually resulted in a family business. Click here to continue reading and to find out more about us. We offer free world wide shipping on collectibles. 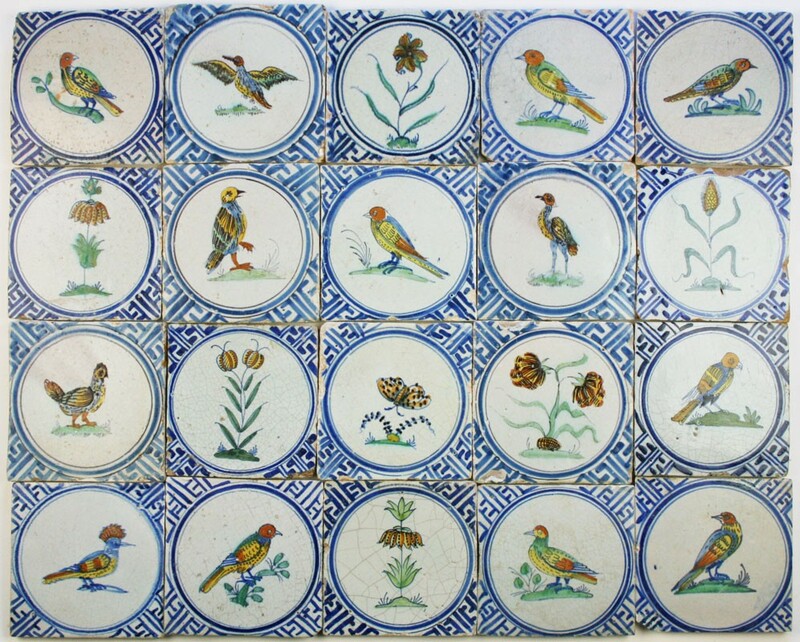 Orders with wall tiles and tile murals will receive a custom quote. All shipments are insured, traceable and arranged by one of the premium partners on the right side. Read more about our shipping and return services here. 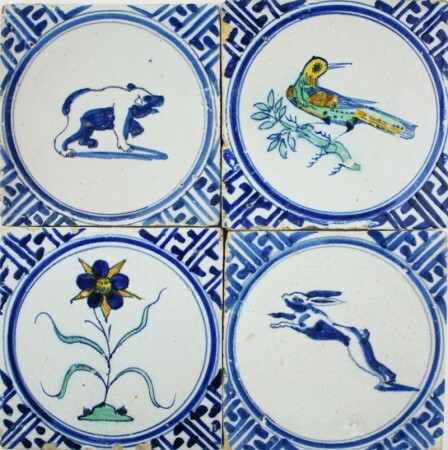 © 2014 - 2019 Regts - Antique Tiles. All Rights Reserved. No content may be copied or distributed without permission.